Local Golden State Warriors fans must be thrilled by the news of Stephen Curry returning to the Philippines this September. 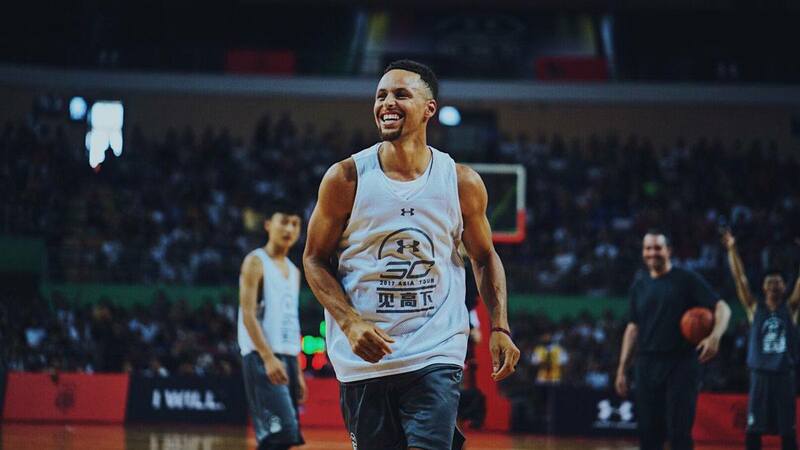 This will be the three-time NBA champion, two-time Most Valuable Player, and five-time All-Star's second trip to the country, following the Stephen Curry UA Roadshow 2015. Curry takes the place of another Warrior in Kevin Durant, who recently had his own visit here with Nike, shortly after successfully defending their title in June. A Rappler report confirmed that Manila is the first leg of Curry's Asian tour (September 6), with stops in Wuhan, China and Tokyo, Japan. The last time the greatest shooter in NBA history was around these parts, he talked hoops and played with young ballers to the delight of his Pinoy supporters. FHM's "golden" wish list: bring Draymond Green, DeMarcus Cousins, or China Klay next!